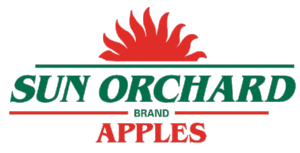 Sun Orchard Fruit Company currently represents approximately 30 family owned apple farms throughout the New York Lake Ontario region. Through our association with these growers, we are able to offer our customers the highest quality agricultural products. Using the most advanced growing techniques our growers produce some of the highest quality apples in the world. Integrated Pest Management Practices in addition to Good Agricultural Practices ensure the safety of our apples for consumers. Apple quality and maturity is continually assessed throughout the growing season and harvest. After harvest the fruit is quickly delivered to storage in order to maintain freshness and storability.